The West End is renowned the world over for its London musicals. While there are plenty of landmarks to see in London, like Big Ben, Westminster Abbey and the London Eye, it’s safe to say that no visit to the capital city would be complete without a night out at a magnificent West End theatre, watching one of its famous musicals. Audiences are not limited just to London musicals in the West End, however. With theatre enjoying broad popularity, London plays are also thriving and, thanks to a number of promotions and television exposure, West End shows are more popular than ever. Most London musicals are traditionally located in the main theatre district, more commonly known as Theatreland. The West End area – home to some of the most famous theatre streets in the world, including Shaftesbury Avenue, The Strand and Drury Lane – plays host to musicals which are attended by millions of visitors from all over the world each year. You can see find plenty of venues which host them on one of the many Theatreland Tours available. There’s no shortage of variety in London musicals, with their rich diversity ensuring there is something for everyone to enjoy. From popular long-running shows to exciting new productions, there’s something sure to interest all ages. 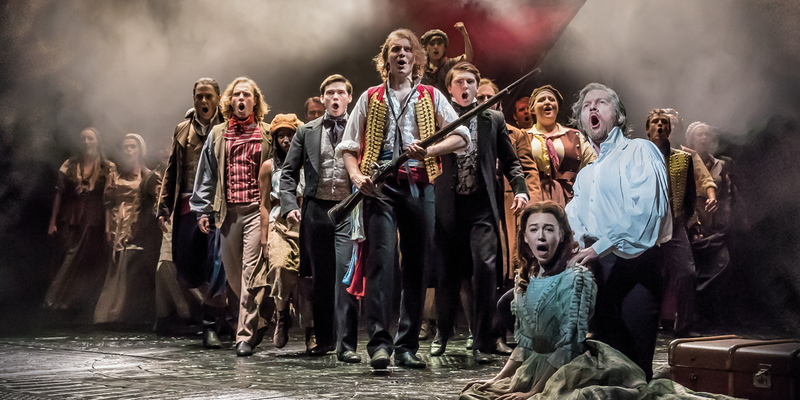 Some London musicals are staple must-sees for any theatre fan in the West End, playing to standing ovations night after night and year after year. But the West End also sees just as many new stories, exciting production announcements and all-star casts throughout the year. Official London Theatre is your first port of call to learn all the latest news about London musicals. We aim to keep audiences well informed about the very latest happenings in Theatreland, and are run by the Society of London Theatre, which means we support promotions that expand the public reach and experience of these productions. On our website, you’ll find comprehensive and informative show listings, the very latest theatre news and backstage features, and information about how you can secure the best tickets possible. View current and future London musicals. Take a look at the latest theatre news. Visit our Theatre Lounge LIVE page for exclusive performances and interviews with some of London musicals’ biggest stars. Musicals often have longer runs than plays or dramatic theatre, which means there should be plenty of opportunities to grab a seat to your favourite show. Musicals such as Les Misérables (the West End’s longest-running musical) and The Phantom Of The Opera have run for decades, playing thousands of performances over the duration of their West End runs. More and more people are also getting to see musicals in action on their television sets, encouraging them to come to the theatre. Many have performed in high-profile live broadcasts up and down the country, and most have casts featuring star names which capture the imagination of theatregoers. To stay in touch with the latest news on smash-hit London musicals and upcoming performances, visit Official London Theatre regularly.